With soft and supple leather uppers that have been burnished to give depth and variation in colour; the Paolo Vandini Saxon boot is just right for the man with style this season. Fastening the mens Saxon boots are narrow, round, brown laces weaving their way through seven pairs of blind lace holes. 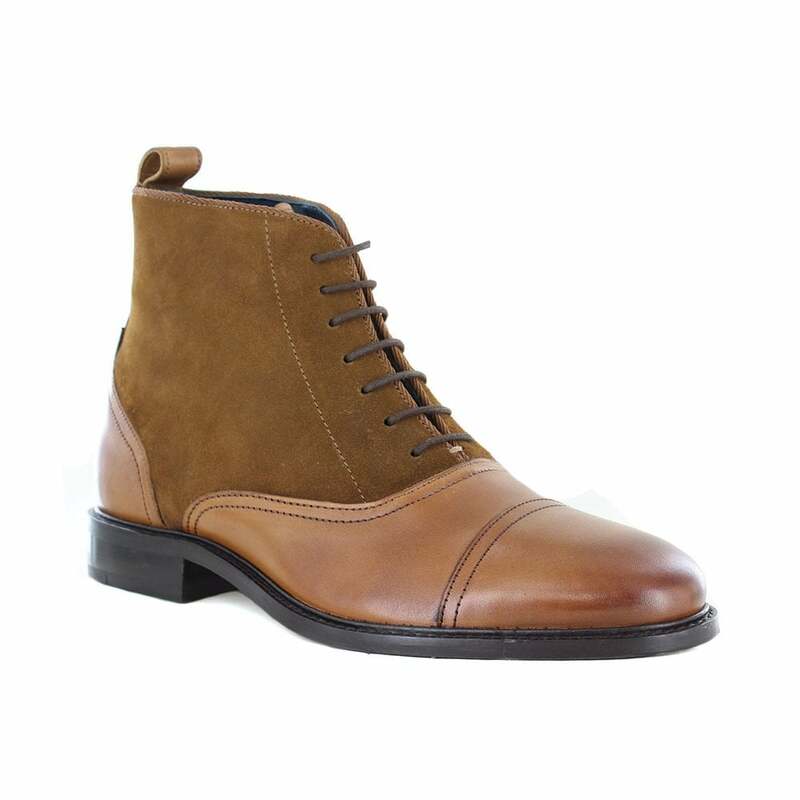 Completing the sleek lines of Paolo Vandini's superb mens leather lace-up boots is a leather lined sole unit. Perfect for a great night out, a day in the office or for just looking good - get your pair of Paolo Vandini Saxon leather/suede boots today.